I was a student at the LSE when Michael Foot penned 'the longest suicide note in history' in the 1983 General Election. I thought Labour's manifesto was just what the UK needed; though I've mellowed a little since. Still, as they used to say at the LSE, if you're not a socialist before the age of 25 you haven't got a heart; if you're still a socialist after 25 you haven't got a head. 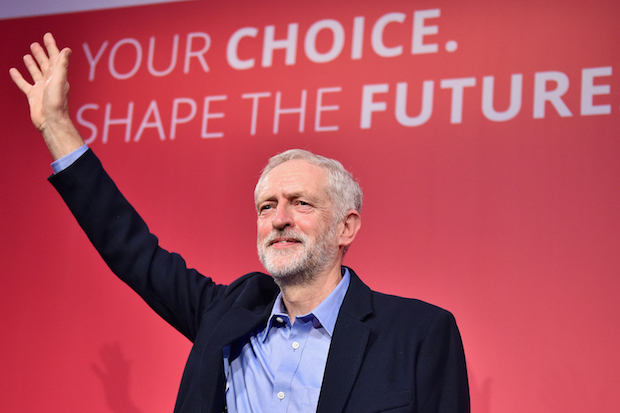 So is Jeremy Corbyn's election as Labour's new leader a big deal? Yes and no. It's a big deal for the future of the British Labour Party - they don't have one - but it's not a big deal for the British. Most media outlets employ political correspondents whose job it is to tell us every day how important politics - especially party politics - is to our lives and the future. But it isn't. For starters, more people are members of book groups than political parties: only 1 in 50 Irish voters is a party member, the EU average is 2 in 50. To put it in perspective, the Catholic Church in Ireland - battered and all as it has been in recent years - can still count on more than ten times as much active engagement from the Irish people as all the Irish political parties put together. Yes we get to choose the political parties we want, the religion we grow up in not so much. But that's only every 4 years or so, and even then most of us end up governed by a party or parties we didn't vote for (just like 63% of the UK electorate last May). Corbyn's election doesn't matter because political parties no longer matter. Certainly Corbyn's victory is a blow to the 'spin-meisters' that now dominate contemporary politics in Western Europe. Even Peter Hitchens admires Corbyn's refreshing authenticity compared to the 'plastic politics' that Tony Blair perfected (and David Cameron has ably adopted). But with the Overton Window shifting relentlessly leftward - in Ireland as elsewhere - then it's hard to see what a Labour Party led by Corbyn is going to campaign for that isn't already a nascent (or full blooded) element of other parties' manifestos. Sure, Corbyn may be more avowedly Marxist than your regular left-of-centre politician, but even if 'a communist is a socialist in a hurry' it's rare to hear anyone or anything labelled as 'extreme left' or 'far left' these days. Remember, we nationalised the main banks in Ireland here a few years ago, so today's 'loony left' platform can easily become tomorrow's 'we have no alternative' emergency legislation. Also remember that socialism in its various guises killed more than 200 million people in the past 100 years in the process of creating a collectivist 'Paradise on Earth'. Perhaps the demise of the political party as a genuine force in European politics is a small price to pay if it avoids any more experiments in 'humanity improvement'?